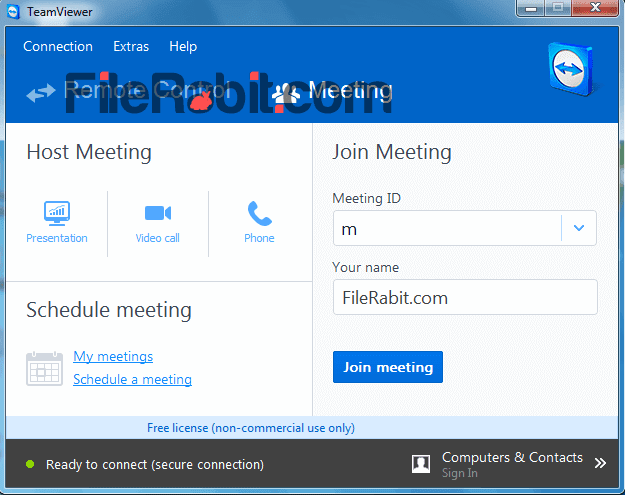 TeamViewer lets you attend online meetings, join presentations, record session in video or take control over your friend’s computer through remote connection. Getting access to another’s computer is too difficult because of that high price of various network and remote connection programs. Attend a presentation, video call or phone call and participate into meeting from anywhere at anytime. 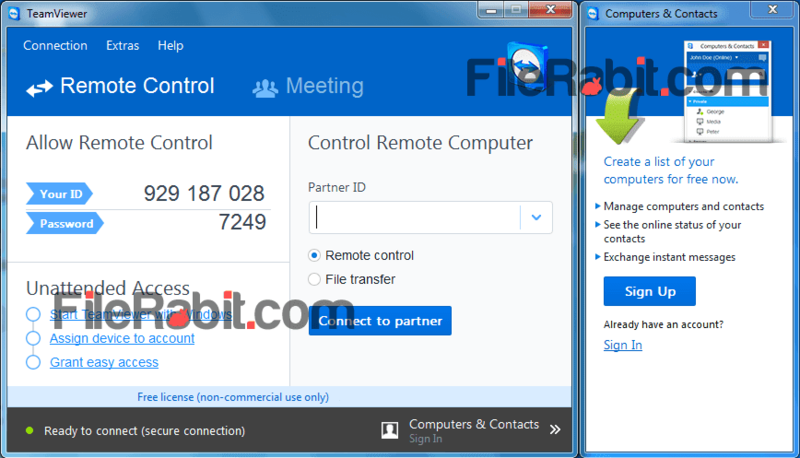 Drag and drop feature was added in TeamViewer to send or receive files between 1 PC to another faster than ever before. The file sharing is extremely easy to send large files in less time. However, take control over the target PC, do any task: e.g. uninstallation of any program, installation of programs, scan file with antivirus, browse files and folders, delete, rename or check the properties and many more. If your friend or coworker was trapped in something wrong, you can easily help them via this smart tool. So we can imagine that TeamViewer is all in one remote control that gives ultimate access over remote computers. Chatting with active remote computer users alongwith sharing files with drag and drop support. Low CPU usage with multi-core processors will take less battery usage from laptop or notebooks. Students, teachers, business and house holds can attend meetings without reaching.